Founding on the laws of quantum mechanics, quantum based technologies will revolutionize metrology, electronics, computation, and communication in the future. To this end, many researchers all over the world are striving for robust quantum technology platforms, which are suitable for a real-world use. The last decade has seen tremendous progress on experiments involving a single or a few quantum systems serving as carriers of quantum information. 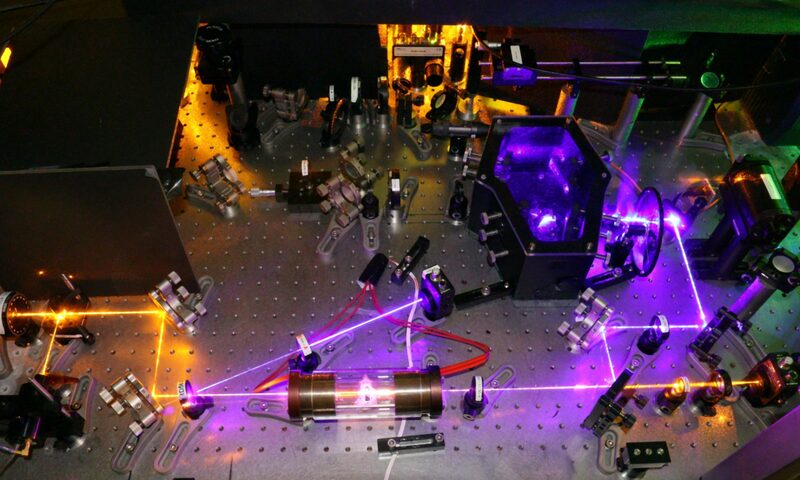 These systems so far were used to demonstrate fundamental quantum phenomena, such as entanglement, simple quantum algorithms, or strong light matter interaction in proof-of-principle experiments. Nevertheless, how such experiments can be scaled up to a functional quantum technology platform remains still an open question. Arguably the most promising approach to the scaling problem is the use of quantum networks. In general, quantum networks consist of several nodes. These might consist of small memories, information processing or measurement platforms. As widely accepted, these nodes are interconnected via photonic quantum links. Research towards their realization is motivated by the unique opportunities across a range of intellectual and technical frontiers. For example, quantum cryptography networks can be used for unconditional secure communication; quantum networks may aid the realization of large-scale quantum computers and quantum simulators. The common goal is to solve a variety of mathematically hard problems in a sub-exponential fashion. Further quantum metrology networks can measure physical quantities, exceeding classical measurement techniques. The last years have seen tremendous progress on realizing fundamental components for quantum networks, like small processors and memories, interfaces between dissimilar systems, wavelength converters and non-classical light sources. However, putting together all these components to demonstrate multi-node quantum networking has not been achieved yet: Given the variety and complexity of experimental setups and theoretical approaches it is nearly impossible to unite expertise from all involved fields within one single research team. This seminar will bring together experts from different communities in order to discuss the prospects and challenges of merging their fields within a joint research effort on quantum networks. The involved discussions will be highly beneficial not only for advancing research on quantum networks, but also will support early stage researchers in their progress on becoming experts themselves.